Perfect for adventurous home bartenders and chefs—turn an ordinary mixed drink into an expertly crafted cocktail. The aromatic bitters have notes of clove and allspice and follow up with a kick of black peppercorns and caraway. Dimensions (in packaging): 10" x 6" x 1"
Nice, smooth addition to any drink that calls for bitters. Slightly smoky flavor. There’s nothing like a signature drink to spice up a dinner or cocktail party. Lemon Fizz, Southside, or Old Fashioned—the special sauce that gives each one of these cocktails its distinct flavor is an extract called bitters made from an infusion of spices, herbs, and aromatics. 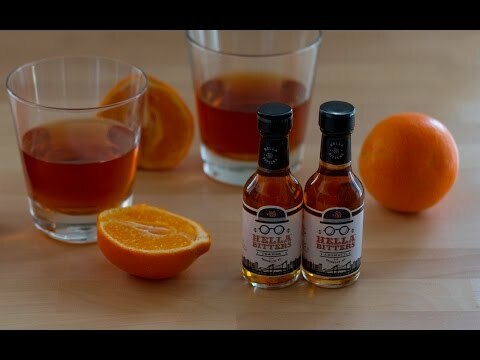 In early 2000, friends Eduardo Simeon, Tobin Ludwig, and Jomaree Pinkard began experimenting with making their own craft bitters. 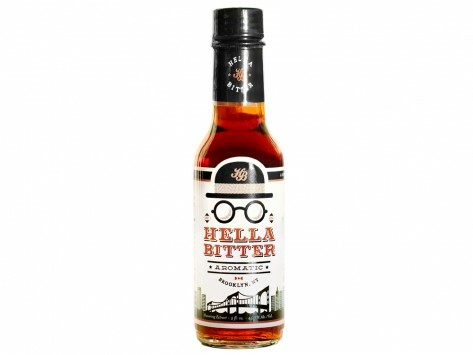 By 2011, their hobby had become a deliciously satisfying business called Hella Bitter located in Brooklyn NY. Hella Bitter's Citrus contains a mix of nine different citrus flavors perfect for creating light and refreshing cocktails like the previously mentioned Lemon Fizz and Southside. Or, you can try a Hella favorite recipe for Gin & Soda: 1 oz. Tanqueray, 5 dashes of citrus bitters, 2 oz. seltzer, and a grapefruit twist. Notes of clove and allspice combined with a kick of black peppercorns and caraway make Hella Bitter's Aromatic a great addition to bourbon, whiskey, or rum-based drinks, such as the ever popular Dark and Stormy. Raise a glass to a creative way to add fun and flavor to cocktail hour. Is it 5 o’clock yet?